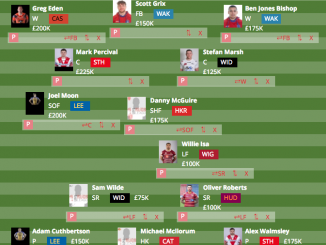 Round 11 of Super League gets underway tonight! Why not have a scan through what we have got for you in the meantime? 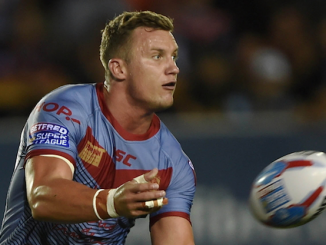 The Ladbrokes Challenge Cup fifth round fixture between York City Knights and Catalans Dragons will be live streamed on the BBC Sport website. Warrington centre Toby King has signed a contract extension to keep him at the club until the end of 2019. 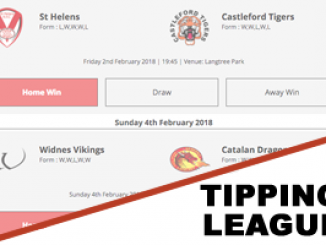 After another thrilling encounter on Good Friday, we take an in-depth look at the rivalry between two of rugby leagues most iconic teams, St Helens and Wigan Warriors. Salford Red Devils have paid tribute to the victims of the Manchester Arena bombing by releasing a commemorative kit for Magic Weekend, with proceeds going to the families of the victims. Leeds Rhinos boss Brian McDermott has left his position as head coach of the USA national side. Our latest ‘stat attack’ has arrived. Danny Houghton set a new season best for tackles in round ten. England and Wigan captain Sean O’Loughlin says he wants to carry on playing for as long as possible. Canberra Raiders stick by Jack Wighton after court date over assault allegations, report The Guardian. Wigan coach Shaun Wane believes Wigan’s poor record at Headingley may be down to giving Leeds too much respect, report Wigan Today. Toby King has been sidelined by more hamstring trouble, report Warrington Guardian. Leeds Rhinos prop Mitch Garbutt grounded until June after knee surgery, report Yorkshire Evening Post. Wakefield Trinity aiming to redraw all-too familiar pattern, report Yorkshire Evening Post. Castleford coach Daryl Powell is staying optimistic over Greg Eden injury, report Yorkshire Evening Post. Micky McIlorum, John Bateman and Ryan Bailey going at it like there is no tomorrow! A #MagicWeekend belter with BIG BIFF to boot ? Let’s just appreciate Salford’s Magic Weekend strip in full flow.
? Salford Red Devils, with the help of @MitsubishiUK, are delighted to reveal our limited-edition Magic Weekend Charity kit in support of the @WeLoveMCRFund. 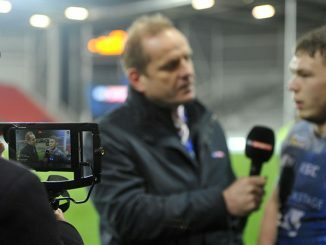 Super League Fulltime – 1.00pm, Sky Sports Arena, presented by Bill Arthur. 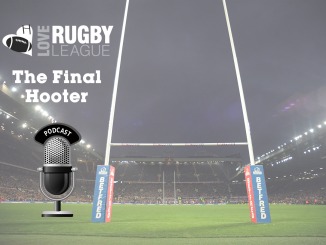 5 Live Rugby League – 7.00pm, 5 Live Sports Extra, commentary from Dave Woods.